Peter Lipa (born: 30.5. 1943) is the most important figure of slovak jazz scene. He created special significant vocal expression with accent on lyrics. His music is based on a connection of jazz and blues. 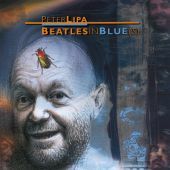 Peter Lipa really can take the audience on his side, not just using his music (harmony, rhythm and tones) but also with lyrics. He is the first singer in Slovakia who is using slovak language in jazz music. This is done by managing the rhythm capabilities of the lyrics transferred to his musical expression. In his repertoire we can find, tradicionals, swing and modern jazz standards. 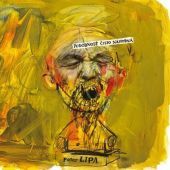 Last ten years is Peter Lipa focused mainly on original songs, which are created on lyrics. He is confessing influence by Jimmy Rushing, Ray Charles, Al Jarreau, Joe Cocker or Bobby McFerrin. During his singing career he managed to surround himself, with extraordinary musicians, whom helped him achieved reputation of european jazz vocalist. 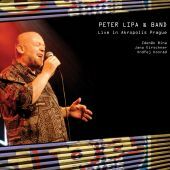 By the time of 1980s, Peter Lipa was regularly in the top five of european jazz singers on chart made by the magazine Jazz Forum. 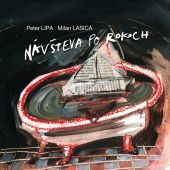 In 1976 together with Milos Pasek created a tradition of Bratislava Jazz Days and Peter Lipa started to host a regular radio program about jazz music. In 1989 Slovak Jazz Company (Slovenska jazzova spolocnost) was found. Lipa is its president from the very beginings. Today we can say that he sang on all continents. The most of his songs are recorded on media, however, he has made his first record in his 40s only, because of the comunistic censory. 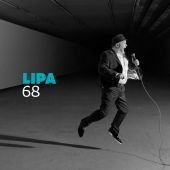 Lipa`s most powerful musical experience was duet with Bobby McFeriin, who called Peter by himself, in the end of McFerrin`s concert in Bratislava in 1986. Peter Lipa, was born in Presov. He was tending to music since childhood. When Peter was twelve years old, he start to learn to play violin, after that trumpet, trombone and guitar. He finished High school in Presov, after that he studied Stavebna fakulta SVŠT in Bratislava and worked as an editor of Ceskoslovensky rozhlas. In between years 1975-1976 he accomplished postgradual study of journalism on FFUK in Bratislava. Peter is into music from early 1960s. His first band was Struny (Strings) and after that Istropolitana, Blues Five, Orchester Gustava Offermana, Revival Jazz Band, T+R Band and Lipa Andrst Blues Band. On 2nd Beat festival in Praha, Peter and Blues Five gained Discovery of festival prize. Through the whole his carrer he was searching and finding connections with piano players, because, as a singer, he feels most comfortable with this instrument. Ladislav Gerhard, Milan Svoboda, Gabriel Jonas, Emil Viklicky, Peter Breiner, Boris Urbanek, Juraj Tatar, Pavol Bodnar and his son Peter Lipa jr. – are some of them. 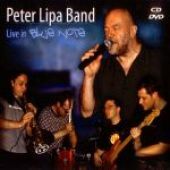 Group Combo was found by Peter in 1978 and this project is accopaining him in different forms till today as Peter Lipa Band. Meanwhile he worked on many many short and long term projects. Today it is Visegrad Blues Band, EU4, Traditional club.